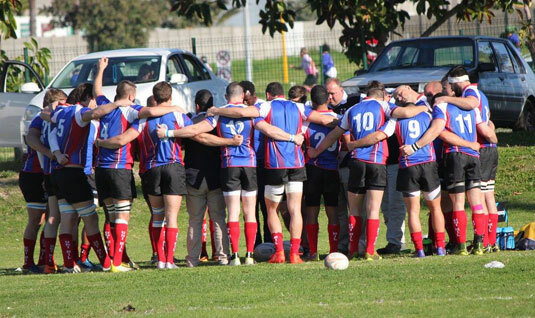 Union Milnerton was established in 1973 with the amalgamation of Union and Milnerton Rugby Football clubs respectfully. It was this amalgamation that ensured the continuity of Union Rugby Club and at the same time afforded Milnerton Rugby Club the opportunity to play in the Grand Challenge League as it was known in those years. The club has gone through many ups and downs over the years, from winning the club champs and playing in the Super A League to being relegated down to Division 1, In recent years the club has made a dramatic turnaround and in 2008 won the Division 1 league to be promoted to the Premier B league. 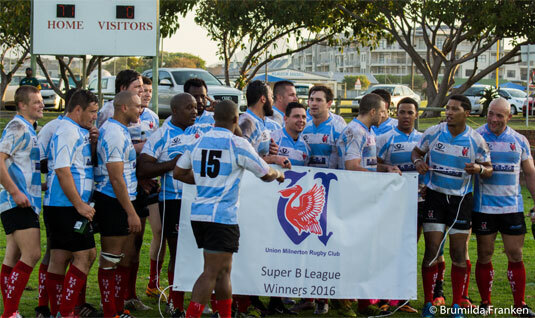 In 2013 Union-Milnerton had a phenomenal season by winning the Premier B League and were duly promoted to the Super B League. After another great season in 2014 the club ended 4th in the Super B League and also went on to win the President’s Cup Final against Villagers at Newlands. The club started a Ladies Rugby side in 2014 and finished a well-deserved 2nd place in their league. 2015 has been another successful year for the club and our philosophy of building depth has resulted in us once again securing 4th position in the Super B league. After a tough close contested Season, 2016 saw us end Title Holders at the conclusion of the Season.